I love John Muir. He was a wonderful naturalist who co-founded the Sierra Club in California and influenced congress to pass a bill making Yosemite and Sequoia National Parks. He is called the father of the National Park Service. 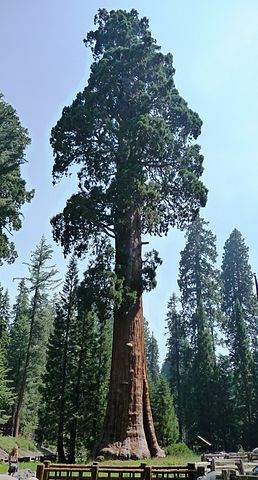 This entry was posted in Blogging, Blogging Community, California, Nature and tagged Blogging, John Muir, One Liner Wednesday, Sequoias, the Sierra Club, Yosemite on January 7, 2015 by Deborah Drucker. I love this one line. Truly there is a circle of life in nature: it is amazing how living things work together to support one another. Great quote! How true! He was a great man; thank you, Deborah. Thanks Linda. You are welcome. You have inspired me to make sure Muir Woods is on my bucket list. Thanks for the videos! I have not seen them “in person” and have always wanted to. Yosemite and the Sequoias have been a desire for some time. Sometimes I think when I go, I won’t want to leave.